Oroville Hospital’s Executive team members are dedicated to patient care by guaranteeing the finest quality health care from prevention through treatment to wellness to all Oroville and Butte County residents. Robert J. Wentz has served as Oroville Hospital’s President and Chief Executive Officer since 1988. With more than 30 years of hospital leadership experience, he has been able to grow the hospital in order to serve the Oroville Community. Robert J. Wentz led Oroville Hospital in becoming the first hospital to self-implement the VA’s Electronic Health Record program, and the first to certify the software, WorldVistA EHR 2.0. He is the founder of Tenzing, a VistA consulting group. For the past 20 years he has owned and operated the Oroville Sports Club. 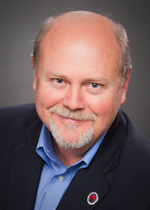 Robert J. Wentz’s professional affiliations include California Hospital Association Board Member, Board Member, Chair, and past President of California Healthcare Insurance Company, American Compensation Association, National Society of Performance and Instruction, California Hospital Personnel Management Association, and American Management Association. Scott Chapple has served as Oroville Hospital’s Vice President Human Resources and Chief Operating Officer since 2003. His past experience includes various positions such as Human Resource Analyst, Director of Human Resources, Special Projects Manager, Vice President Human Resources and Assistant Administrator from 1984-1996. Prior to coming to Oroville he worked as the Vice President Human Resources, Vice President Support Services and Administrator/Vice President at Kalispell Regional Medical Center located in Kalispell, Montana. Scott Chapple’s professional affiliations include being a Member of the American College of Healthcare Executives, Director BETA council (BETA Healthcare Group), past Council Member of ALPHA Fund, past Board Member at St. Matthew’s School and a past Member of the Hospital United Way Planning Committee and United Way Allocations Committee. 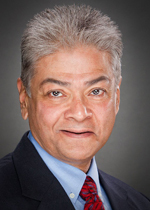 Ashok Khanchandani has served as Oroville Hospital’s Vice President/Chief Financial Officer since 2003. His past experience includes various positions such as Chief Financial Officer at College Hospital in Cerritos and Costa Mesa, California from 1976-1996. After that he served as the Chief Financial Officer for the Natividad Medical Center in Salinas, California. Ashok Khanchandani’s professional affiliations include being an Advanced Member of the Healthcare Financial Management Association. Carol Speer-Smith RN, BSN has served as Oroville Hospital’s Chief Nursing Officer since 1990. Carol has past bedside nursing experience in Critical Care and Emergency Nursing. Her career journey at Oroville Hospital has moved through many nursing departments including Medical Surgical, Intensive Care, and the Emergency Room. Her roles have included Staff Nurse, Charge Nurse, House Supervisor, Nurse Manager and her current role as CNO. 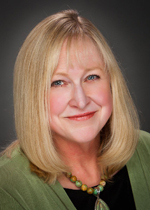 Carol is a member of the Association of California Nurse Leaders, and is past President of the Far Northern Chapter. Carol has strong nursing and leadership skills and a passion for great, patient-focused care.